The bullish impacts from the added transport capacity and overload management on the heavy truck market in 2017 had been consumed. Moreover, China’s LNG prices hovered at highs at the end of 2017 due to the extremely short supply, and the LNG heavy truck operating enterprises were in a dilemma accordingly. Therefore, China’s heavy truck market which recovered somewhat was shocked. In 2018, the expansion of China’s LNG heavy truck market has greatly slowed down, and SCI reckons that the sales volume will decline by 80%. As for China’s LNG vessel market, the vessel parc will grow slowly in the short term, as there is no newly added bullish factor. On the whole, it will be tough for China’s LNG vehicle and vessel markets to break through the bottleneck of the market development. Will the development of LNG transportation be stagnant? How will China’s LNG vehicle and vessel markets develop in the future? 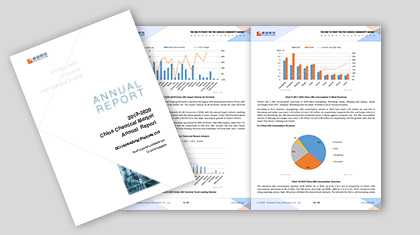 2018-2019 China LNG Vehicle & Vessel Market Annual Report will comprehensively interpret China’s LNG vehicle and vessel markets for the market participants. SCI’s natural gas industry chain started to monitor the LNG vehicle and vessel markets from the development of the LNG vehicle market in 2009, accumulated abundant market data, and tracked and monitored the construction of ancillary facilities. Moreover, SCI’s natural gas industry chain established data monitoring systems, covering the LNG market, logistics and gas station markets, engineering and equipment markets and many related markets. Therefore, SCI can comprehensively and accurately grasp the market development and the future market trend and provide reference for market participants to make decisions. 1. To analyze the overall development status of China’s LNG vehicle and vessel markets through an overview of China’s LNG vehicle and vessel markets in 2018. 2. To present China’s LNG vehicle layout by region and let market participants comprehend the overall China’s LNG vehicle promotion status. 3. To present the future development prospects of China’s LNG vessel market by analyzing the ancillary facilities and existing problems of China’s LNG vessel market. 4. To interpret the development policies related to China’s LNG vehicle and vessel markets, so that market participants can comprehend the market policy orientation.